Those who live from paycheck to paycheck must know what Petsa de peligro is. Payday seems near yet you have to tighten your belt to be able to survive until it’s finally in your bank account. Petsa de Peligro – that nerve-wracking time when payday feels so near yet so far – now extends beyond the 14th and 29th of every month. These days, because of the increasing prices of our daily needs, we now face “Everyday Peligro”, daily challenges we must overcome with our tight budget. But as the latest Jollibee ad shows, there are creative and enjoyable ways to survive everyday peligro, especially with the help of JolliSavers! 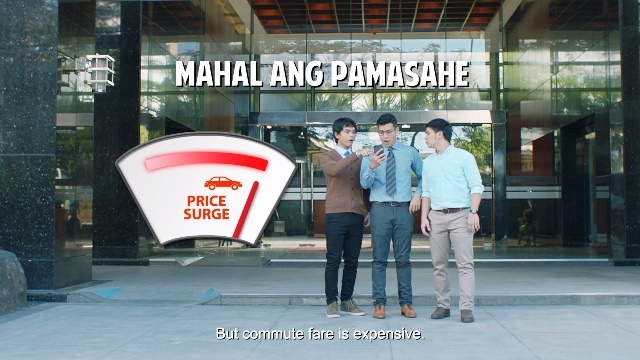 The video illustrates a common dilemma for young working Pinoys – wanting to get home as soon as the workday ends, but not willing to pay expensive fares and surge rates. To this situation, Eugene recommends a great Diskarteng Savers tip that will definitely be enjoyable and budget-friendly: going on a fun run home with your officemates! And while you’re enjoying the company of your friends, why don’t you stop by the nearest Jollibee store and avail of their JolliSavers meals – delicious and affordable food options for only P50.00 or less! Enjoy JolliSavers best-sellers such as the Beefy Langhap-Sarap Yumburger (P35.00*), the Cheesiest, Meatiest, Sweet-sarap Jolly Spaghetti (P50.00*), and the beefy-saucy Linamnam Ulam Burger Steak (P50.00*). JolliSavers is available for dine-in, take-out, delivery and drive-thru transactions in all Jollibee stores nationwide.